Now that my son eats baby food, I'd like to introduce him to a homemade food more often than to an instant baby food we purchase in the store. For me, it would be better for my son to eat fresh baby foods rather than the one that is processed. One thing I'd like to have was a container that would spread the amount of the baby food that I make. This way I would determine the quantity of each food in a container and starts freezing them singly. I'm grateful that I have the chance to evaluate the Baby food storage containers that comes in 12 pieces set of Littleware Containers. The item is shipped to me and can be purchased on HERE. I don't see any signs of damage/dent in the products as well as the packaging box. I was able to employ the containers right away. I like how protected the containers in their sturdy box. 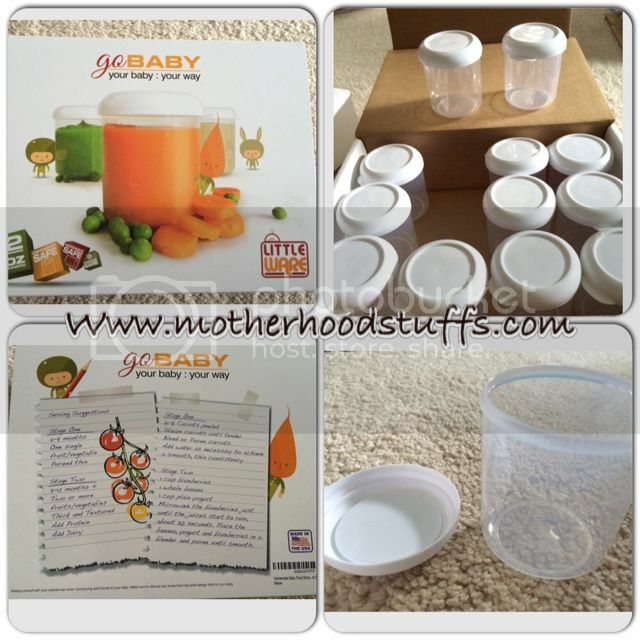 I adore the 4 dissimilar ways to make your own baby food which can be found on the back of the merchandise box. I have to say the white lid and transparent jug, I have an OCD sometimes and I'd like to be cautious as well as to ensure that everything I use for my son is sanitized. So the transparent and white color helps out that I can see any gross residue inside and outside. Effortless to clean, and trouble-free to attach the lid to the containers. It doesn't seep out on the lid when you tip the container sideways, rigid lids and I like how light the containers are. I also like how I can file them on top of each other because the containers are cylinder even better to be a space-saver.